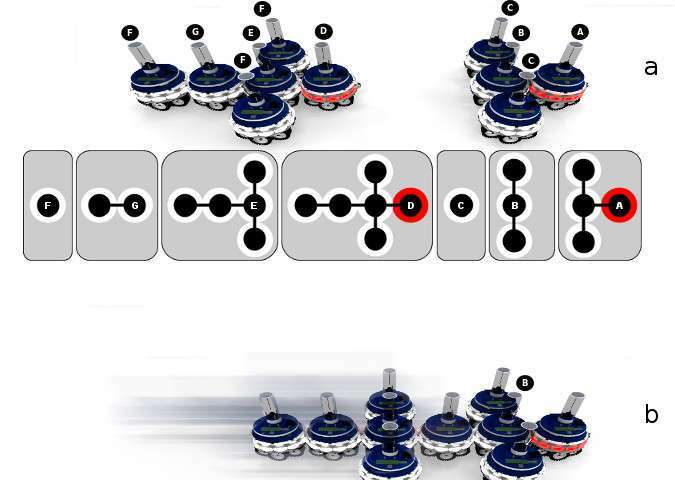 Researchers at the Université libre de Bruxelles have developed self-reconfiguring modular robots that can merge, split and even self-heal while retaining full sensorimotor control. The work envisions robots that can autonomously change their size, shape and function. The study is published in Nature Communications. Many robots are controlled by robotic nervous systems in which sensors and actuators are connected to a central processing unit. However, in most cases, the robotic nervous systems are mapped strictly to the shape of the robot, which limits flexibility in their capabilities. Adaptability could be improved using modular robots made up of multiple units that can form collective bodies, but coordination and control of modular robots are constrained by a limited set of predefined shapes that the units can form into. Marco Dorigo, IRIDIA Laboratory, Brussels School of Engineering, and colleagues have designed modular robots that can adapt their bodies by splitting and merging to become new independent robotic entities, autonomously choosing appropriate shapes and sizes in response to the task or environment. Their robotic nervous systems can also split and merge to maintain sensorimotor control. 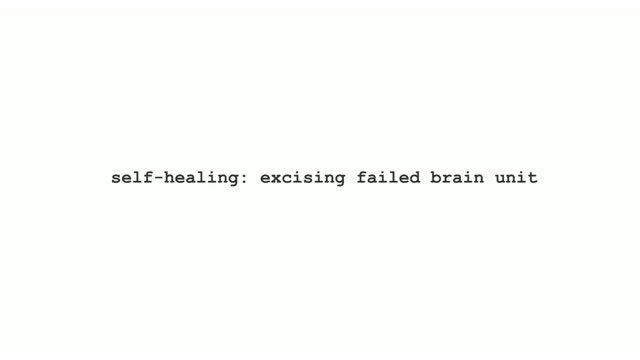 These robots can even self-heal by removing or replacing malfunctioning parts, including a malfunctioning brain unit. The system is demonstrated using 10 units, but the authors suggest that the system can easily scale up. They propose that in the future, robots will no longer be designed and built for a particular task, and suggest that their system could eventually inspire the production of robots that can adapt to changing task requirements.